ITTS Magnum leads the industry in innovative light tower solutions. 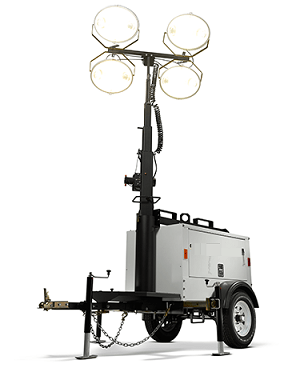 Our vertical mast and compact light towers have revolutionized industrial mobile lighting. Easy to setup, operate and maintain, our light towers provide maximum power in a minimal footprint. With extended run times and service intervals, LED safety features, innovative engine technologies and programmable controls, our products can be trusted to maximize uptime and return on your investment. Durability, reliability and ease of use – put your trust in the largest light tower manufacturer in the world. With zero localized emissions and linking capability, LINKTower provides ultimate versatility in lighting events and jobsites – indoors and out. Compact, cost-effective LED light tower with an extended runtime for a wide variety of events and jobsites. Extended runtime LED light tower designed for remote locations and extreme temperatures. The ITTS AL™4 model line offers heavy-duty light towers to fit virtually any lighting need — from construction sites and sporting events to mining and oil field applications. The 30 ft (9.14 m) extended-height floodlight tower of the AL™4 provides 4,000 Watts of light and is designed to maximize uptime with quick disconnect lights and ballasts, 359º non-continuous tower rotation, heavy duty axles and chassis, and galvanized masts and outriggers. International Technical Trading Services is offering complete lifecycle power solutions far energy markets by emphasizing technological innovation and total efficiency.